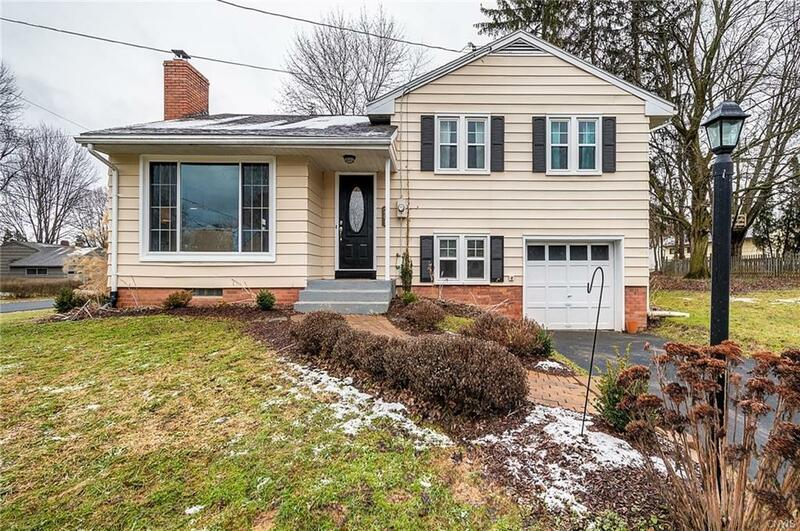 Updated split level on large corner lot in desirable Fayette Manor. In walking distance of Town Center. No village taxes! Granite kitchen with stainless appliances. Beautiful, gleaming hardwood floors and all new windows. 3 bedrooms and 1 1/2 baths. Master bedroom has California closets as does the hallway and bath. Lower level is finished with a separate space for teens to hang out. Spacious rooms. Loads of natural light! Award winning Fayetteville Manlius Schools. Move in and live your life!